"The Figsbury Challenge is a cracking event for all the family. It’s a cliché, but there really is something for everyone. A unique challenge for the older runners and safe, sensible distances for the kids. The cake is great too." Commented Andy Holme who was there with his 2 sons whom also ran in the 3km race. Wendy Lucas, a runner, thrill seeker and Salisbury Parkrun volunteer said the following kind words, "Figsbury Run 2017 was one of the best local events of the year. Wonderful organization, a great atmosphere and an enjoyable afternoon for all the family. It was a privilege to marshall and witness the amazing achievements and fun had by everyone. Looking forward to next year's run, SEE YOU THERE !" "A really fun event, good for all the family. The children love the races and all the other activities they can get involved in. A brilliant day that brings the school and local community together." Said Sarah Morgan Tranter a Winterbourne Earls mother after running and watching her own children participate too. Polly Jacobs, whom attended with all the family, delivered this lovely testimonial, "This was the first time we had attended this event. The biggest attraction for us as a family was that we could all run without having to accompany our children which was really fun for them and allowed us to be able to spectate. I thought having the fox at the front for the 1km and 3km race worked really well so that the children clearly knew which way they were going. It might have been even better to announce at the start of the race that the fox would be at the front and tell the children to "follow the fox", so that if any children are doing the course for the first time they worry less about going the wrong way! Apologies if you announced this and I just didn't hear! It was really lovely that you recognised the different age groups in the 5k race and that you have trophies for the top 3 children and not just the winners in the 1km and 3km races. The event was well marshalled and super encouragement from them throughout. Great to have Andy and James who normally take the Salisbury Parkrun photographs also taking photographs at this event and making these freely accessible via flickr." "What a fun event for runners of all abilities. Great to join in with the fun runners and enjoy the excitement of the day. Whether you dress as a super hero or a piece of fruit, spectators and families cheer you all the way to the finish line. Well organised, picturesque course and a foodie treat at the end, what more could you ask for?" Gratefully received words from Jerry Rogers who is obviously taking the run very seriously! Fabrice Webb, a former Winterbourne Earl's pupil and 2017 race winner said "My sister and I have been running the Figsbury Challenge since attending Winterbourne Earls Primary School – about the last 9 years! We come back year after year as it is such a fun event and open to such a wide range of ages and abilities. I must admit that having sibling rivalry adds to the excitement. 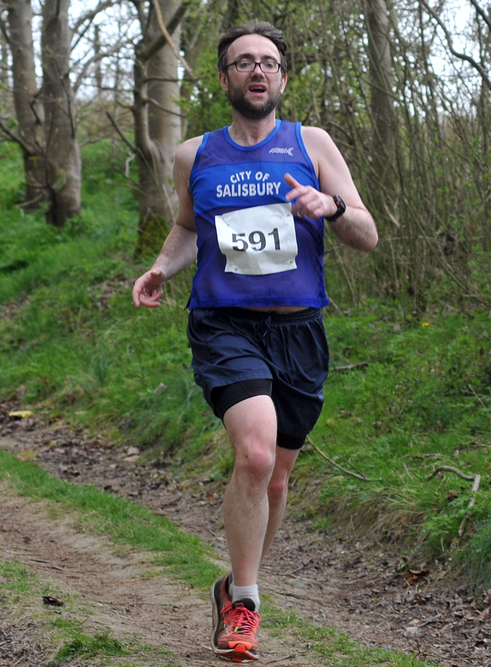 The Figsbury Challenge was our first experience of running events and we haven’t looked back since and both my sister and I went on to become members of City of Salisbury Athletic and Running Club (CoSARC)"
Do you recall the Figsbury Fox (Stuart Holloway)? This is what he had to say about the Figsbury Challenge. "It was so rewarding being chosen to lead the children’s races. Seeing all those keen happy children fulfil a challenging event was well worth putting the Fox outfit on for. It was quite a struggle to try and stay in front of some of the more energetic and enthusiastic children trying to sprint the race from the start, staying right on my tail. A great event for all the family." Philippa Carter, Deputy Head and Year 3 teacher shared her experiences with us, "I love the Figsbury Challenge, so much so that in eleven years of teaching at Winterbourne Earls, I have competed eleven times in all sorts of weather. Whether you suffer from heat exhaustion, get caught out by a hail storm or get your trainers wedged in the mud, it all adds to the fun. Having taught Year 6 for the majority of my time, and highly competitive by nature, I would always challenge the older children to beat me and every year they would! Some years I run round the 1km course with the Reception children as this is their first experience of a race and each year there are great cheers for every finisher, whether first or last. The event has really encouraged the sport in our school, contributing to a culture of running with over 40 children taking part in two weekly running club sessions run by staff and parents. A number of gifted runners have since moved on to local athletics clubs where we are very proud of their continued achievements. The day itself one of the highlights of the school year as everyone pulls together to make it an enjoyable event that staff and children remember. Members of the school community take the warm up, there’s a bouncy castle and lots of refreshments for weary runners - a great day out for the family." "I’ve taken part in the race a few times over the years and each time it always surprises me how steep that hill is! The Figsbury Challenge really is a challenge but both the view and the strides back down it makes it fully worthwhile. This was the first race I had ever won so has a special connection for me - meaning it is always on my calendar regardless of where I am in the country!" Added Ben Carter, former pupil and winner in 2015.